I've had this metal miniature for ages, and while I may not have enjoyed painting it when I first bought it, It is quite enjoyable now. I think the trick has been to have no expectations. 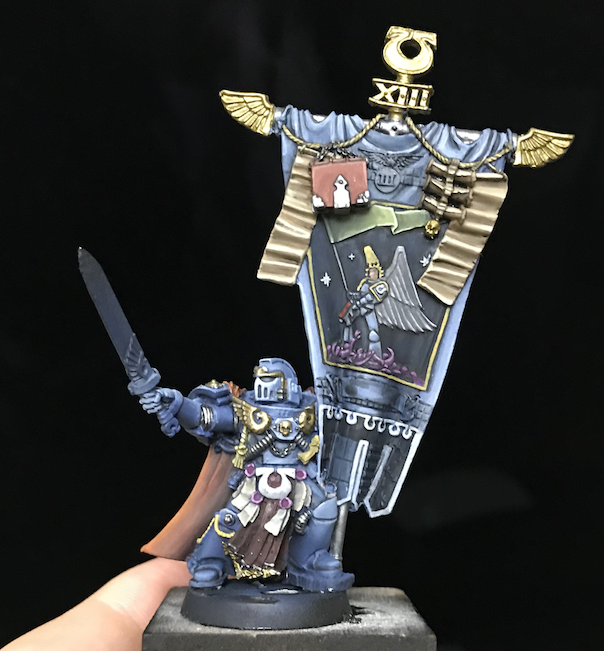 This miniature is being painted in the same carefree way as the rest of the squad, and I think these early photos are starting to show the advantages of that. Like before, this guy was airbrushed and then wet-blended and glazed. I'm looking forward to having the united completed so I can see it all together and compare my regular style to it. 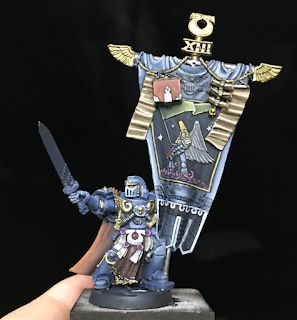 I dig it - That was always one of my favorite banner bearer models. Good stuff! John Stiening, bringing a whole meaning to 'carefree'. He looks a million dollars.